It seems Tekashi will not be returning home anytime soon. TMZ reports The rapper - who has been behind bars since Nov. 18 - was in court Monday (Nov. 26) where he entered a not guilty plea in his federal racketeering case. A September 4 date has been fixed for his trial and the 22-year old will reportedly remain behind bars for much of the waiting period. The issue of bail was not discussed in court as his lawyer Lance Lazarro plans to apply for bail directly to the trial judge. Tekashi and 2 former associates, including his manager, Shottie, were arrested by federal agents on racketeering and firearms charges last week. 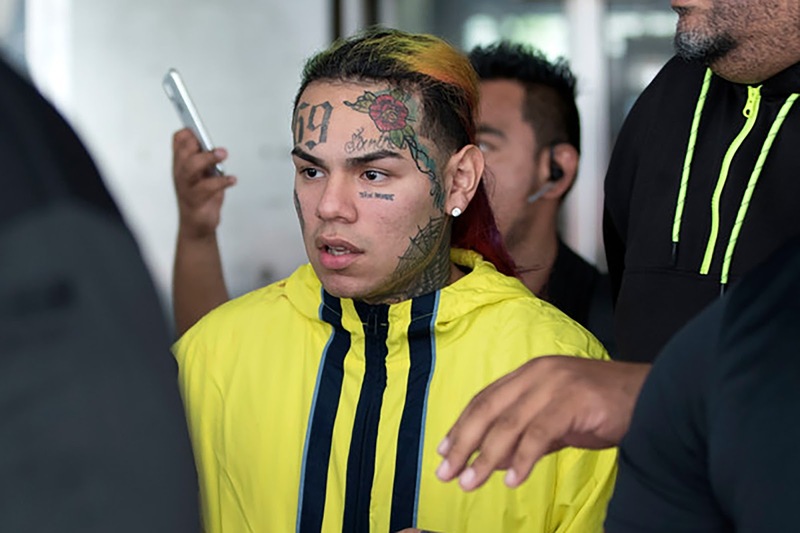 The feds believe Tekashi has been involved in a lot of crimes, including orchestrating an armed robbery on April 3 along with his ex-manager, and 2 other members of the Nine Trey Bloods. While the polarizing rapper's faith remains largely unknown, his debut album DUMMY BOY surfaced online a few days ago. The album, which was scheduled to drop on November 23 appeared on 6ix9ine's website 6ix9ineshop.